Wolverton had no rich people but it did have a tiny middle class. Here from the 1851 Census is the household of the splendidly-named Brabazon Smyth Stafford. Mr Stafford came from Dublin and started work at Wolverton on the first day of its existence as a railway station.He was the chief accountant and was paid £300 a year – a good middle class income when most railway workers earned £1 a week. If you look at the floor plan of one of these villas you can see that this family could be comfortably accommodated. Mr & Mrs Stafford in one bedroom, his sick brother in another, the children in a third and the two servants in the fourth. Between the children and the washing, cleaning and cooking, I imagine the servants had their hands full. There was overcrowding in some houses at Wolverton, as I described yesterday, but at least these were new, relatively well-constructed houses. Compare with Sir Frank Markham’s description of some housing behind the High Street in Stony Stratford. In the yard of the historic Cross Keys at Stony Stratford, on a patch 100ft by 16ft, eight houses were built, one room up, and one down, with a ladder for communication, and one common lavatory (which it was nobody’s business to clean), no running water, and one common pump in the yard. In the White Horse Inn yard, on a patch 90ft by 14ft eight houses and one privy were built, each home 14ft by 11ft. In Swan terrace, backing the Swan public house in the High Street, six houses were erected on a plot 80ft by 20ft, again with only one lavatory and a single pump. Some of these houses were built with only 4½in walls. Nearly every one of these houses was still in existence in 1919, a nearly every one tenanted in squalor, despair and disease. I have looked at the equivalent census and in these back alleys you have large families – two adults and six or seven children. They are mostly agricultural labourers or paupers, either very poorly paid or with no income at all but for the charity of the parish. There are noticeably no lodgers in any of these dwellings. Obviously the lodgers preferred a little more comfort. Here is a Census entry for a family living in Cooke Street, Wolverton in 1851. 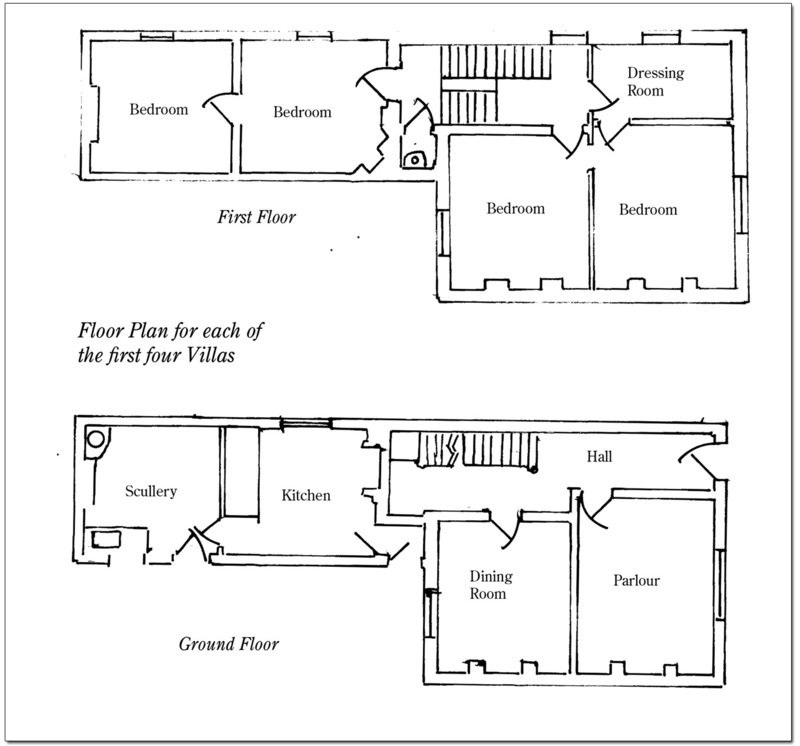 These terraced cottages had one room on the ground floor and one room above. There was a lean-to scullery at the back for washing and an outside loo (probably an earth closet) in the back yard. So here we have a man and his wife with five children and five adult lodgers. The living arrangements defy imagination. Perhaps some curtain was strung across the bedroom to provide some separation. bath night must have been a complex arrangement. The living room downstairs also doubled as a kitchen. And just to show that this was not unusual, this was the household next door. Kennedy’s house rented for 7 shillings a week; the houses on Cooke Street could be had for 1s. 6d. a week. Mind you Kennedy had an annual income of £150, whereas poor old Joseph Anstee was delivering letters for about 6 shillings a week.